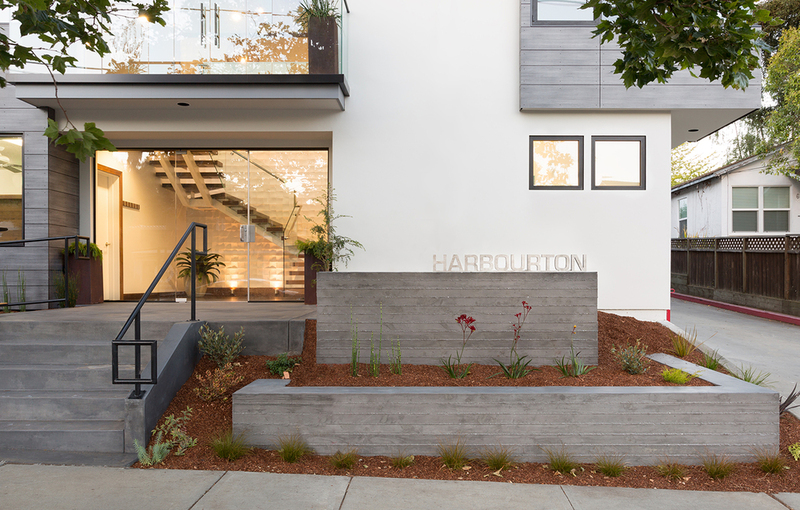 Just blocks from the beach in Capitola Village, this remodel transformed a dark, cramped building from the 1980's into a light-­filled, open office for a local company. 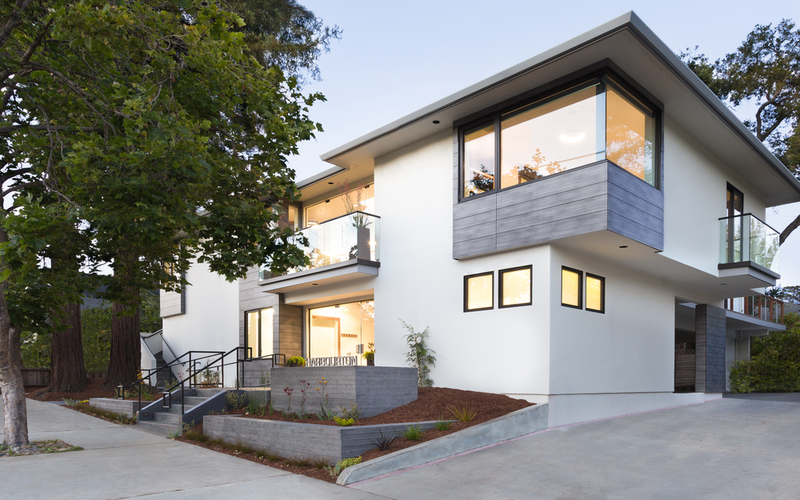 The exterior has been updated with new landscaping, glass railings, MEG phenolic resin panels, and stucco. 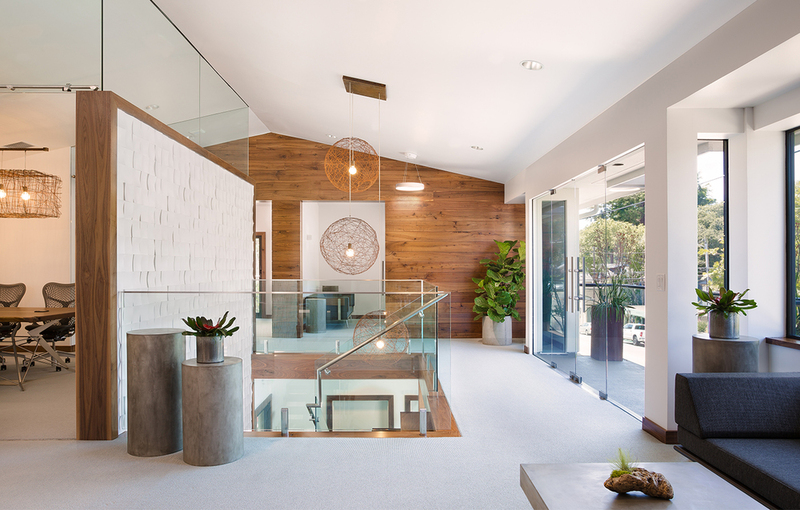 Through the glass front doors, a dramatic new entrance from the street features a walnut staircase that winds up to the upstairs lobby in front of a sculptural mineral composite feature wall. The office itself features collaborative work spaces, breakout rooms, and private offices for client meetings. Custom Fuse-­designed light fixtures and furniture pieces bring the space to life.